The concept of Play Schools has really taken off in India during the recent few years leading up to 2019. And in this brief period the Play School industry in India has established itself at a staggering value of 8,000 Crores and it is rising at a substantial rate of 35% per annum. 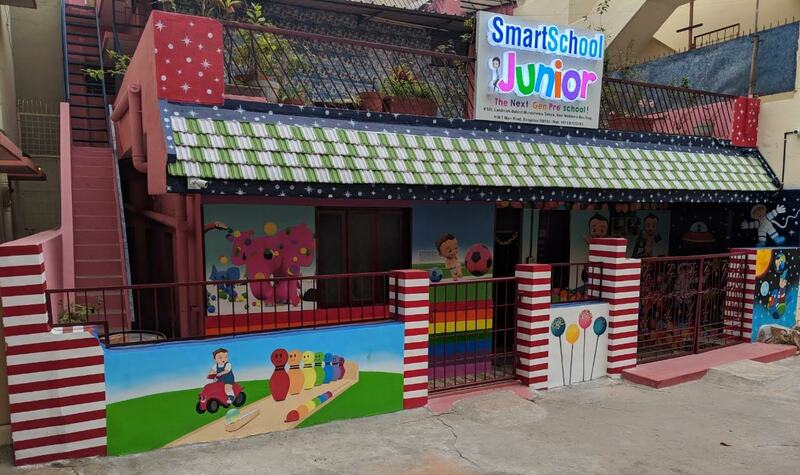 This has made the concept of playschool a viable idea for a lot of entrepreneurs and especially so because starting a playschool does not require much capital investment. It is in fact a great avenue for women who want to be independent but are not interested in being tied down by a job or do not have sufficient capital to start their own business. The best thing about playschools is that you don’t necessarily have to start a big venture. You can start off individually and start your playschool at home. You would require little capital to get the ball rolling. What would be an additional help if you have knowledge of clinical and child psychology as well as nutrition. This will allow you to handle kids better and prepare healthy meals which are a really important aspect of a playschools. But before starting any business you must have knowledge about the most important factors affecting the business as well as essentials details and perquisites that can make your life easier. Here a few important details to remember and points to consider. Unlike a regular business which involves sale of goods and services, playschool is a service oriented business that involves children and that too toddlers. Thus more than a business, it is a gigantic responsibility. Your primary aim should be to serve and money making needs to take a back seat. Your target group or the people you would work with will be toddlers, generally ages five or less. Hence, it is your responsibility to create a healthy environment where you are always attentive to ensure the safety of children. Children are volatile and have volatile behavior, and therefore you must know the hard of handling all children individually, as all children have different needs. And remember, children unlike adults would not be considerate because they are children. It would be a great idea to research thoroughly on similar businesses first. You may interview them, check out the facilities they offer, research online and check out methodologies hat are in practice, especially which confirm to industry standards in relation to care and nutrition. What would be a great idea is for you to be able to see where your competitors are lacking and try and improve on those fronts. This will do the job of distinguishing you from your peers and stamp your authority in the market. Be patient with not only kids but their guardians as well. When it comes to kids, people can be overly protective and react to minor situations in the most awful manner possible. Therefore it is necessary that you understand the plight of parents and make sure to cater to their needs and address their complaints if any. When it comes to designing your business plan, don’t try to be too big for your britches. Understand your own capabilities and shortcomings. Don’t over commit when it comes to the kind of services that you can offer nor should you be taking in more children than you can easily manage. Remember, these are children that you would be dealing with, toddlers at that and they cannot take care of themselves. The Different types of Business modes that you can choose from include Daycare, playschool, preschool with additional activities such as crèche and other post school activities. You might have all the ideas in the world, but without adequate funding nothing can materialize. So you must ensure to secure sufficient funds and for that you require to establish a proper budget report that would enumerate and illustrate all the cost points in detail. 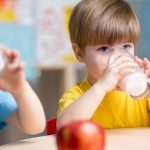 Another important aspect that would affect your playschool is the scale that you wish to establish it on when you begin. Whether you are interested in working individually or do you reckon if you can hire teachers to aid you. Every business begins with the first few months running in loss and then you eventually reach the Break Even Point (BEP) post which, if you work well and all things go smoothly then you start earning profits. So you must ask yourself and determine if you can, and for how long you can manage without making profits. These are some of the key points that you must consider in order to start a playschool. Once you have gone through the above points and are still set on starting your playschool, then you need to complete the following steps to lay the foundation to your dream playschool. In order to start your school you need certain permissions under different regulation. In certain states you need to get written permission from the state government. The documents required and legal formalities differ from state to state. Once you get the required permissions or fulfill the necessary formalities, your playschool gets registered. In some cases the state department in charge for giving the permission would require you to establish proofs to the effect that you do have premises and resources in tune with the standards set by the government. You might also be required to pat a certain fee for registration. Shakespeare said what’s in a name, but still his name is mentioned beneath the quote. So yes, name is important and plays a vital role in establishing your identity. Find a name that defines your playschool, but at the same time is easy to remember. No one likes a tongue twister and therefore please avoid using overly complicated names and tag lines. They just look pretentious and don’t add much value. 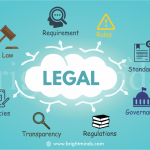 However make sure that your name does not coincide with anyone else’s playschool or any other organization as for that matter because that can land you into legal trouble as well as a lot of bad reputation for your establishment in the market. The location of your playschool can make or break you. If you select a location that is shady and is not reputable, then people are highly unlikely to come to your playschool and enroll their kids. On the contrary a good location instills a sense of security in parents and they are more likely to go for your playschool. It’s all about what you can offer better than your competitors. Similarly, the infrastructure in your playschool will be another factor that can attract more parents to enroll their kids with you. You can alternatively go for establishing you home as a playschool and give your home a homely feel. It is something that can appeal to customers if you are able to generate a warm environment for the kids at home and are able to earn the trust of parents with what they see. You must have drawn a budget when you decided to open a play school. So when you start working on building your playschool, whether it’s a playschool that you start at home or one which you establish at a different location, always make sure to mind your budget. Once you start building your dream, it is easy to get carried away. But that can prove to be a costly mistake and lead to a error in judgment that comes back to bite you in the future. So be smart, try and stick to your budget to as religiously as possible, and then once everything is done, then if you can squeeze in extra features that you feel would be great additions to your playschool then you can do those. What so Special About You? This is a question that you will have to justify a large number of times and therefore you must think about this as much as possible. 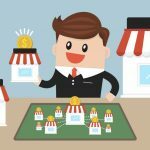 What is your Unique Selling Point (USP)? Why are you better than others? What is it that you do that no one else does or that you do better than others? Figure this out before hand and build your marketing campaign around that. Also once you are sure about your USP, identify your specific target audience from the common public and then try and market your playschool around your USP to the target audiences. It is always better to align with the branded schools, which provide an addition advantage compared to non-branded schools. This will allow you to achieve better results with lesser efforts and you shall be able to focus more on the operations and nitty grittys of your playschool better. So when you are dealing with toddlers you of course are not going to load them with academics. But what you need to focus on is that you are able to teach toddlers wholesome content. Which is prepares them to get into school. Once you are able to get these things right you should be able to get your playschool on track. What would really help you to establish you playschool as a great establishment is if you remember the golden rule of the playschool industry which is that this industry is a highly service driven industry. How to develop writing skills in a preschoolerIs Preschool a Profitable Business?